Brochures are essential for companies to inform existing and potential customers about the goods and services they provide. To have the greatest promotional effect, these materials should be designed and printed so as to reflect the quality of the company distributing them. Because of their compact size, brochures can be offered at places of business or sent directly to target markets. This makes brochures one of the most flexible options from our Los Angeles same day brochure printing services for companies to expand their profit opportunities. 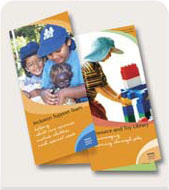 Brochures offer a combination of dazzling design and comprehensive information about the subjects clients choose. Our same day brochure printing in Los Angeles can print brochures in full color, attracting interest and urging recipients to read the contents. Provided to customers in storefronts, brochures are conveniently read on site or stored for later perusal. The small size of brochures also makes them ideal for sending in envelopes to customers during direct mail campaigns. Logos, trademarks and other graphics can be placed on the front and back of brochures. Illustrations, photos and text can be used strategically in the inside folds. 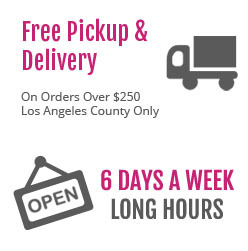 Clients can choose from numerous options when they use our Los Angeles same day brochure printing services. A wide range of inks and color schemes can be used along with matte or glossy options. Our designers can incorporate pre-existing designs into brochures or work from scratch from the ideas clients have. Multiple paper stocks, ranging from heavy to light, can also be used. To accommodate the amount of information clients want to include in their brochures, we provide different folding styles, including accordion, tri-fold and bi-fold. Every company should have brochures made to inform their customers and partners about what they offer. With the choices clients can access through our same day brochure printing in Los Angeles, there is virtually no limit to what can be communicated through this medium. For companies offering a broad range of services, multiple brochures may be ideal to suit different markets. Clients can contact our Los Angeles same day printing shop to learn more about our brochure printing services.